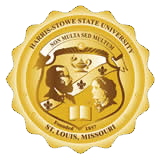 Harris-Stowe State University’s William L. Clay Early Childhood Center will make use of an almost $200, 000 CCAMPIS (Child Care Access Means Parents in School) Grant awarded by the Department of Education. The primary focus of the grant funding from CCAMPIS will be to assist twenty student parents who are unable to afford the cost of the quality child development/parenting education currently existing at HSSU’s Clay Center. Eligible students will receive a 75% reduced rate in tuition of child care, as low as $15/wk. The quality of child care is often reflective of the fees associated with it, and unfortunately many of our student-parents rely on childcare facilities with less resources or that are located far from the campus because that is the only care that they can afford. The Clay Center is aware of the strain associated with raising a young child while simultaneously focusing on studies. This grant will lessen the financial burden of childcare and increase the probability of our student parent moving forward in their education. Only 20 slots are available and filled on a first-come first-serve basis. The eligibility requirements for student parents will be the same qualifications for recipients of the Federal Pell grant, as well as being a recipient of funding from the State of Missouri for childcare assistance. The major goal of the CCAMPIS funding is to support HSSU student parents to enroll in, persist at and graduate from the institution. Due to the assistance from the CCAMPIS grant, 80% of student parents will be retained by the end of the grant year and continue working toward degree attainment. Student-parents must attend two (2) mandatory parenting workshops. Dr. Jodi Jordan, Director of the Clay Center, will share more about the grant in an upcoming information session and reception on January 30, 2019 at 5:30 p.m. The meeting will be held in the Clay Center and tours will be provided for prospective parents. “We are extremely excited to offer this opportunity to provide childcare services to our University students. The grant not only allows access to childcare for the parents, but also builds in vital supports and resources to ensure student success,” says Dr. Jordan. For more information, please contact Director of William L. Clay Early Childhood Development/Parenting Education Center, Dr. Jodi Jordan, 314-340-5055, ext. 5066, or Assistant Director, Patty Smith, ext. 5107.